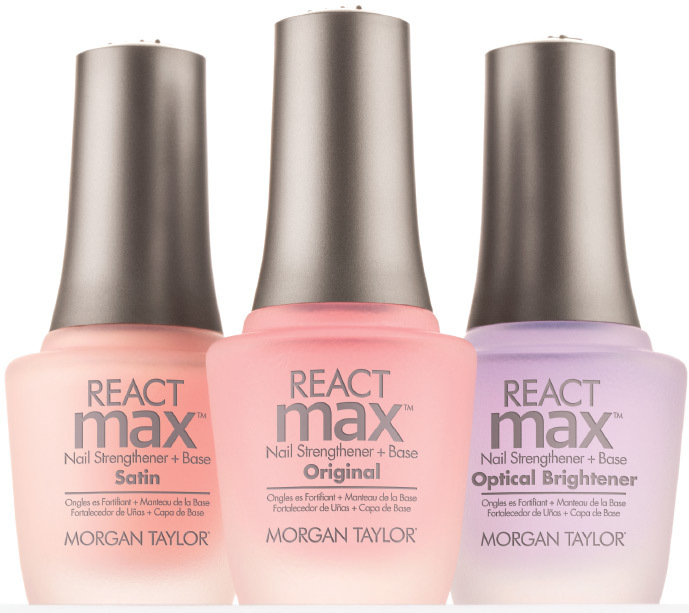 New Morgan Taylor REACTmax™ Nail Strengthener Base Coats create strong, flexible nails that work (and play!) as hard as you do! PolyElastin™ Complex increases nail flexibility while strengthening, nourishing and protecting with Calcium, Coenzyme R and antioxidant Marula Oil for nails that bend without breaking. The result is longer wearing manicures and stronger nails with the ability to bounce back from life's daily bumps.